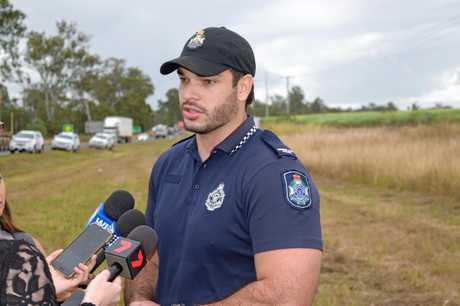 A MACKAY man has told of an agonising experience where he tried to save a driver's life on the side of the Bruce Highway. Witness Daniel Wood was driving home after visiting his family in Maryborough on Wednesday morning when he was forced to watch a fatal crash unfold in his rear-view mirror. 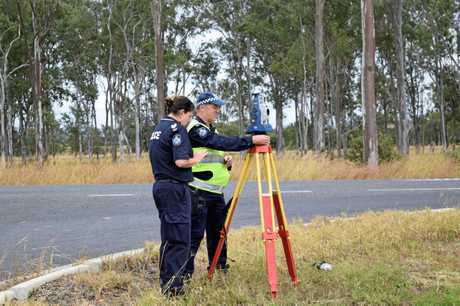 The tragedy unravelled after a 53-year-old Miriam Vale man had a medical episode while driving along the highway, about 100m from Zillman Rd. "The vehicle behind me just started to erratically swerve, it hit both of the rails on either side of the road a few times and wasn't slowing down," Mr Wood said. 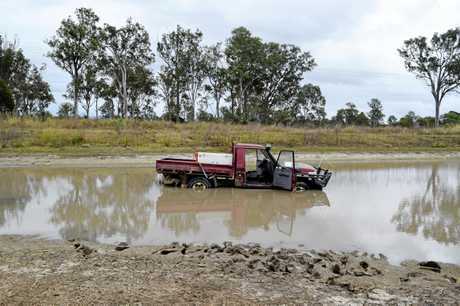 "It then came off the highway, jumped the road and ended up in the (1.3m deep) dam." Seeing the disaster unravel, Mr Wood jumped into action. 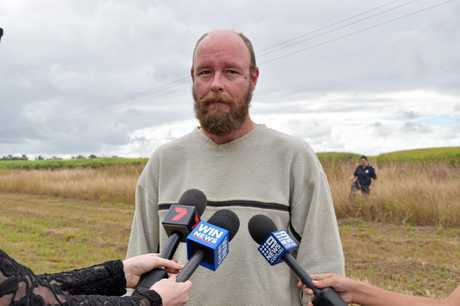 "I pulled the car over straight away, jumped out, stripped off all my gear and jumped straight in the dam to see if I could help him," he said. "He was still moving at that point ... another gentleman who also witnessed it came in." Mr Wood said this was the third serious crash he had witnessed in two years. "It's sad to see something like this happen. 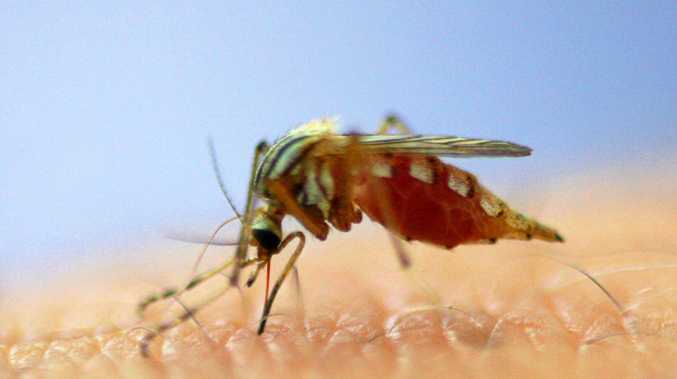 I would've preferred a better result but I'm glad we helped," he said. "I didn't know how long EMS would take to get there ... but you just want to get out and help the situation ... Those first few minutes are pretty vital." 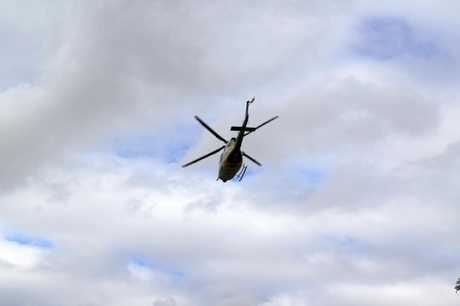 While Mr Wood and another witness tried to stabilise the 53-year-old, about four others manned phones and directed emergency services to the dam, 10km south of Gin Gin. 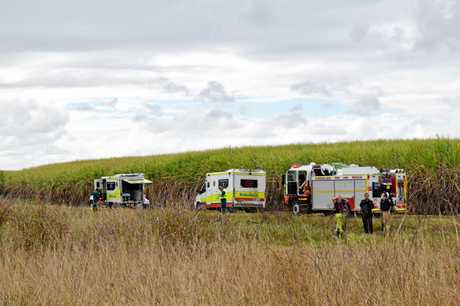 A wave of EMS teams attended the crash, including two Queensland Fire and Emergency units, two ambulances, four police crews, a helicopter and forensics. Constable Paul Mackin said both witnesses and police performed CPR on the man before paramedics and fireys arrived. "We are so thankful and really appreciate the two gentlemen that assisted," he said. Attempts to resuscitate the ute driver continued for about 40 minutes after the crash at 11.35am. "It could've been a medical episode ... He was found slumped over ... But it's too soon to determine what caused the crash," Const Mackin said. The officer commended the "outstanding" quick thinking of Mr Wood and the other witness for starting CPR on the man "straight away". "Unfortunately we weren't able to revive him. We didn't have a win. It's always devastating to lose a life - a family man as well," he said. 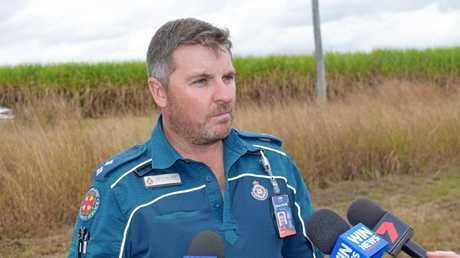 Gin Gin QAS officer-in-charge Steven Bechly also praised the "excellent" CPR carried out by the witnesses and police. "It's vitally important that we have first responders and people on scene that know CPR and we encourage everyone to learn CPR and first aid and this is exactly where it comes in handy in these life and death situations," he said. The family has been advised.